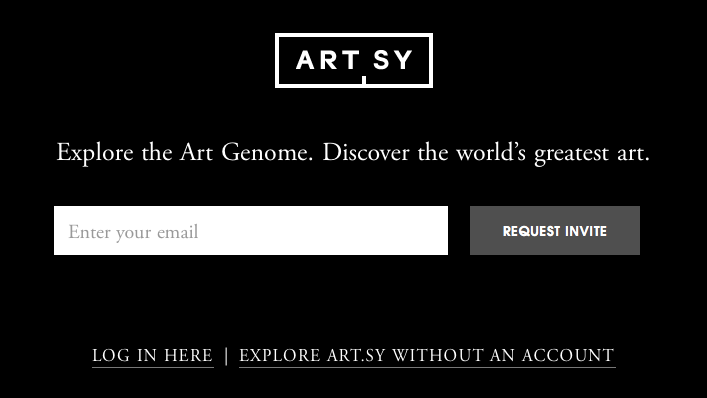 “Genomes, genomes, everywhere… wait what’s a genome?” I wouldn’t be surprised if an art historian browsing the new Art.sy “Art Genome Project” asked that question. My classmate Eran shared a New York Times article about this project. We’ve heard of Netflix or Pandora, which uses machine learning algorithms to recommend movies or music that you might like, but (surprisingly) there hasn’t been a popular service for art (there’s the Google Art Project, but I didn’t know about this until Art.sy came along). What’s interesting is the Art Genome Project makes an analogy to the Human Genome Project. As Eran exclaims, “If it has a sophisticated browser, lots of data and some cool algorithms – it’s genomics!” – it’s as if genomics is now considered the ultimate “Big Data” analysis science. From their blog, they call characteristics such as “Pop Art” or “bright colors” as genes, of which there are over 400 genes. Each art piece or artist, has a genome – the set of genes that describe it. How is this any different from tagging? To reflect the nuances of art, these genes are not ‘on’ or ‘off’, but instead, they have a numerical value from 0 to 100, which I think of as “how much they are expressed”. What is not clear to me is how these genes are annotated. I would assume: genes are discovered (e.g. curators assign genes to artwork/artists) and new artworks are BLASTed against known genes (e.g. somehow convert pixel phenotypes into genes using machine learning)? It would be interesting to see how genotype connects with phenotype – do certain patterns in the artwork correlate with some genes? Can we use genes alone to generate an average phenotypic artwork? How do genes evolve over time and what selective pressures have acted on them: is this just a more exotic and post-modern way of describing what an art historian does? This entry was posted in Science Tangent on October 14, 2012 by Alex.